Meat: it is a hot topic. Below we will be looking strictly at the environmental impacts of eating meat. Spoiler alert – It’s a doozy! All of the text that I’ve highlighted in green below was taken directly from https://veganuary.com/why/environment/. I found their website hugely informative and well sited and wanted to provide you with direct quotes. In fact, agriculture and over-exploitation (including fishing) are significantly greater threats to biodiversity than climate change. Quite simply, eating animal products is destroying our wildlife. When you read these statistics, how do you feel? I felt shocked, disgusted, admittedly skeptical, and then ultimately, horrified. Truth be told, I’d been hearing whispers of information like this for some time. But, I chose to look the other way as I very much enjoyed eating meat and felt like my body needed it. 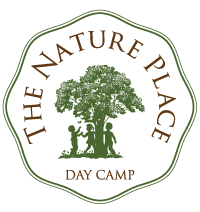 That all changed abruptly a few weeks ago, when I got together with a few members of our camp Administration to watch the film “Cowspiracy”. After watching this film (which did spark debate within the scientific community around how the filmmakers quantified and calculated GHG emissions), I could not ignore the elephant in the room any longer. Though the UN’s 14.5% estimate (the first quote in this article) is likely more accurate than the higher emissions percentage suggested by “Cowspiracy”, the truth is still overwhelmingly clear: WE MUST REDUCE OUR MEAT CONSUMPTION. It is clear that it is the single biggest thing we, as individuals, can do to reduce climate change. For me, one of the most impactful lines in the movie was last one: ‘You can’t call yourself an environmentalist and eat meat, period’. Daniel and I had begun the conversation about our own meat consumption before the movie, but the pace of our decision making quickened that night. The next day we began our meat-consumption-reduction. So far we have cut out most meat entirely, eating a small amount of chicken or fish (about once a week) and occasionally eating dairy. I still have a lot to learn and I encourage each of you to dig in with me, if you haven’t already. 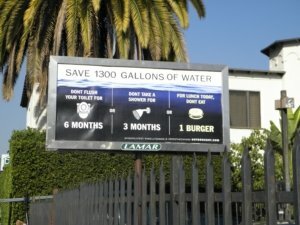 Let’s continue to educate ourselves so we can be the effective environmentalists we want to be. A place to start: consider cutting your meat (especially beef) consumption in half. This is a great goal to begin with in this new year! 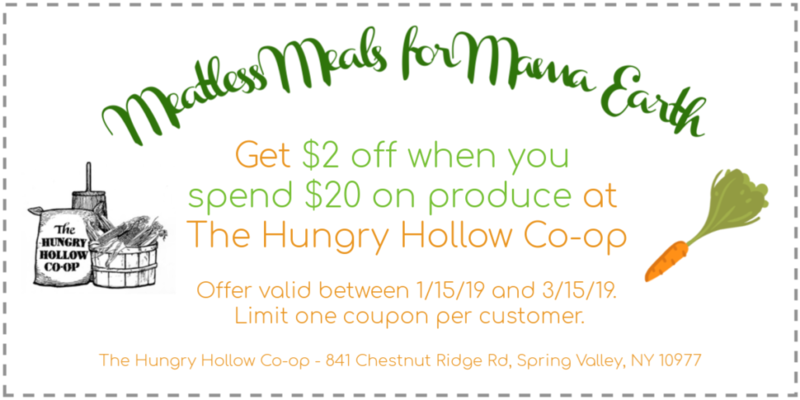 Our friends at The Hungry Hollow Co-op are offering the coupon below to give readers a discount on produce as we transition towards more plant-centered consumption! Just present your coupon at checkout to receive the discount. Please share your thoughts and information on this topic. Like all sustainability efforts, it is key that we are in this work together!